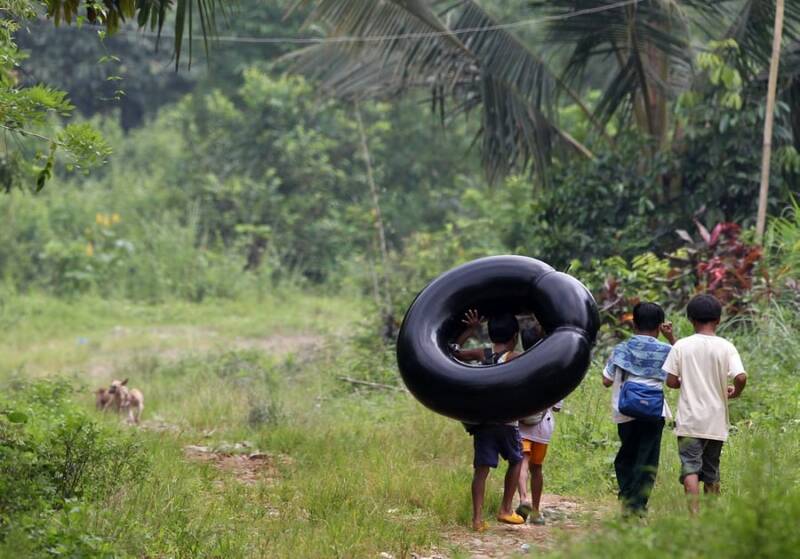 School children use an inflated tire tube to cross a river to go to a public school in Rizal province east of Manila, Philippines, on Oct. 12, 2012. They don't have a bus, or even a bridge. 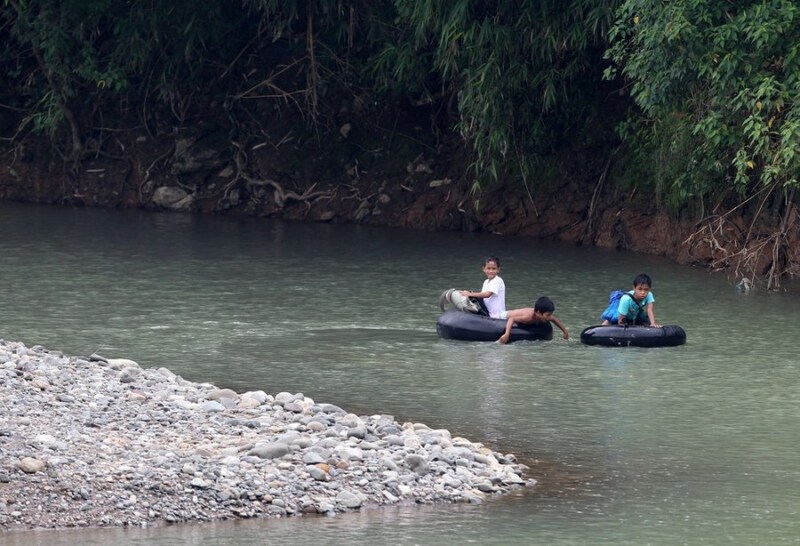 Filipino elementary school students have to use an inflated tire tube to cross a river on their way to school in a remote village in Rizal province, east of the capital Manila. 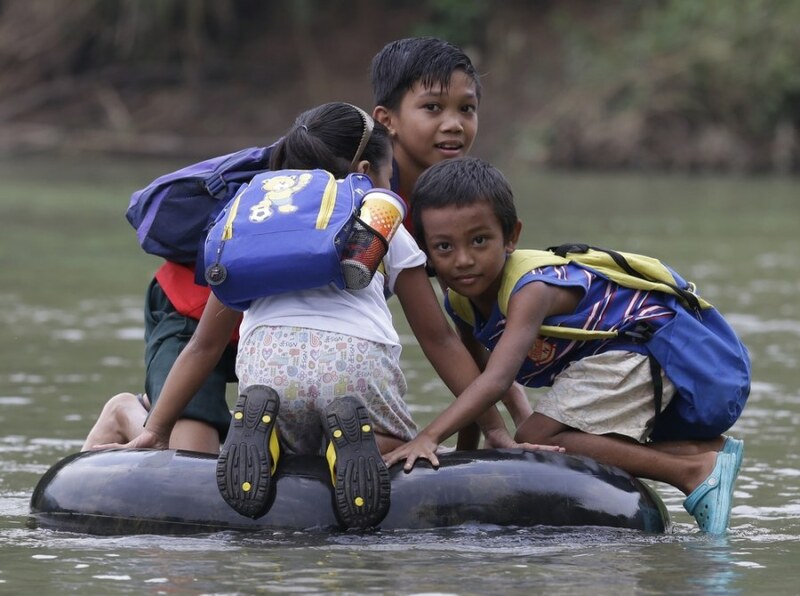 The students have to walk for at least an hour a day to get to and from school, and are sometimes forced to skip classes or take shelter at relatives' homes if the river is swollen due to heavy rains. The community has been petitioning the local government to put up a suspension bridge in order to make the crossing easier, faster and safer. 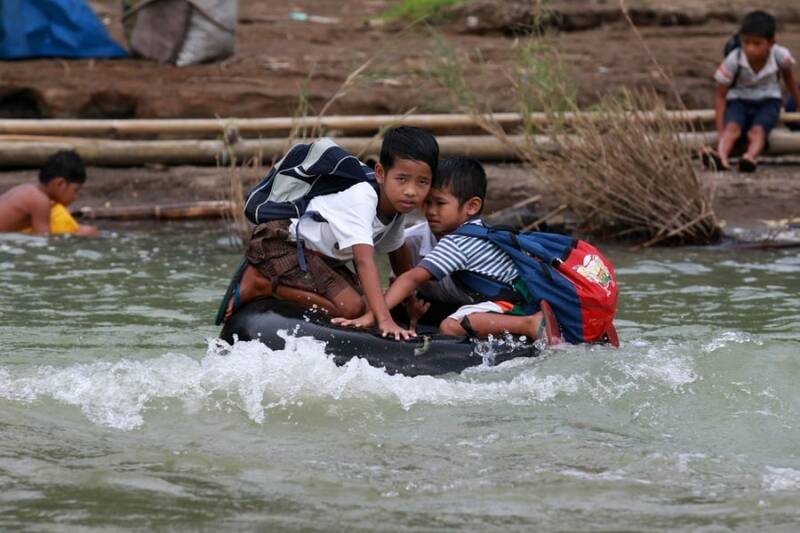 Access to education is a problem in the Philippines, especially in rural areas, but enrollment rates remain relatively high. According to UNICEF, 85% of Filipino children are enrolled in elementary school, though only 62 percent finish high school.